Though having HRA as a component in salary is not an employee’s right, in practice most of the employers include HRA in the salary package as it is beneficial to the employee without any additional cost to the employer. For most salaried individuals, House Rent Allowance (HRA) is a common component of their total salary package. What makes it special though is that unlike other key components (e.g. basic salary, special allowances), HRA is not entirely taxable! Subject to certain conditions detailed in Section 10 (13A) of the Income Tax Act, certain amount of HRA allowance can be deducted from the total income resulting in tax savings for the employee. Though having HRA as a component in salary is not an employee’s right, in practice most of the employers include HRA in the salary package as it is beneficial to the employee without any additional cost to the employer. Who can avail this benefit? HRA benefit is available only to a salaried individual who has HRA as a component in his/her salary structure and is staying at a rented accommodation. You cannot avail this benefit if you are self-employed or you live in either your own house (a house which is in your or your spouse’s name) or in an employer-provided accommodation.Please note that if you are staying with your parents in your parent’s house, it is possible for you to avail HRA by paying rent to your parents! How much can one benefit from HRA? HRA amount provided by the employer as a salary component. Actual rent paid by the employee. Basic pay of the employee. Actual HRA received – this caps the limit of what can be tax-exempted. Rent paid – 10% of your salary (typically means basic salary) – basically exemption starts only over 10% of your basic salary – that much has to be paid from your pocket without any tax exemption. 50% of your basic salary if working in metros, and 40% if working in non-metros – which means that after first 10% of your basic salary, you can get exemption up to another 50% / 40% of your basic salary as tax exemption, provided your HRA allowance is that high (cap applied by first condition – actual HRA received). Let’s take an example to understand this better: Sachin is a sales manager working in Mumbai (a metro). He earns a basic salary of Rs. 50,000 and gets HRA of Rs. 22,500. He stays in Andheri and pays a monthly rent of Rs. 22,000. Since option B (Rs. 2,04,000) is the minimum of the above three values, that will be the HRA exemption that Sachin can avail. In other words, Sachin pays additional rent Rs. 2,04,000 after first 10% of basic salary, which is within limit of his actual HRA, and hence he can get deduction of Rs. 2,04,000 from taxable income. If for instance his actual HRA was Rs. 1,80,000, he could have claimed maximum Rs 1,80,000 as deduction from taxable income. What do you need to claim HRA exemption? Declare your rented accommodation details in the employer provided Income declaration form amongst other declaration (e.g. investments, loans), for accurate calculation of your TDS payable. Collect and submit rent receipts as proof of rent payment to your employer, typically during Jan-Feb of the financial year with details such as name of tenant, name and PAN of landlord, duration for which rent has been paid, address of the rented accommodation, signature of the landlord and date. Often some of the employers also ask for lease agreement for greater assurance. Conclusion: Any potential savings in tax must be claimed with pride, since this is a tool provided to honest tax payers by the Government to meet their legitimate needs while supporting nation building. As a salaries individual, HRA is one of the important levers to lighten personalincome tax burden. 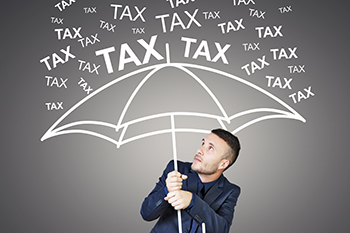 In order to optimize the tax liability, one must be conversant with the basics of HRA, how HRA exemption is calculated and what is needed to claim the HRA tax exemption. The author, Amar Choudhary is CEO & Co Founder, FinAskus.